MACOMB, IL -- The Macomb Feminist Network has selected Winona Malpass, Belinda Carr, Susan Lawhorn, Essie Rutledge and Patricia Walton for its 2019 Writing Women into History Awards. The women will be honored for their outstanding contributions to the local community at 10 a.m. Saturday, March 2, during a reception at the Wesley Village Community Center. This is the 10th year the award will be given. 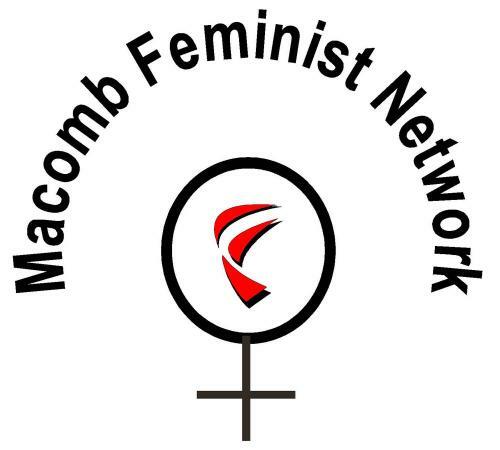 The Macomb Feminist Network established the Writing Women into History Award because of a belief that women have often been overlooked in history. Through the award, the Network expands public knowledge and appreciation of individual women whose initiatives, advocacy and engagement have strengthened the local community in significant ways. This year's recipients, like previous recipients, excel as role models and community leaders. Winona Malpass is being honored posthumously for her work as the person who initiated, and then coordinated, the first hospice program in Macomb. Malpass embraced the ideas Dr. Elisabeth Kubler-Ross explored in "On Death and Dying" and volunteered to provide counseling at McDonough District Hospital (MDH) to help patients and their families facing death. Her work as a volunteer, begun in the late 1970s, was so significant and appreciated, that MDH incorporated the hospice program into its mission and hired Malpass to coordinate it. She also became a vital resource and support for other county agencies, including the McDonough County Health Department's Home Nursing and Community Care programs. Malpass gave direct care through her counseling, educated the community about hospice care and advocated for its acceptance. Belinda Carr, a WIU graduate, will be honored for multiple contributions, including as a previous director of the Gwendolyn Brooks Cultural Center (GBCC), and for her service to the larger community through her work on the Housing Authority of McDonough County and the Macomb Equal Opportunity and Fair Housing Commission, as well as the McDonough County Board. As a member of the Board of P.R.I.M.E. (Pride and Responsibility in My Environment), for 20 years she partnered with WIU departments to provide workshops for youth during eight-week summer programs. As director of the GBCC, Carr helped organize annual Juneteenth events to celebrate the end of slavery and deepen the region's enjoyment of African American culture. She was critical to local Rev. Martin Luther King, Jr. celebrations, soul food festivals and countless other programs featuring scholars, artists and activists. Characteristically, she worked behind the scenes, giving students opportunities to develop and showcase their talents. Carr took up the challenge of creating welcoming spaces for WIU's African American students in both the WIU and Macomb communities. Susan Lawhorn is being recognized for her many contributions to Loaves and Fishes (L&F), a food pantry organized 25 years ago and now serving over 400 households each month. A member of the L&F founding committee and the original—and current--boards, Lawhorn has contributed to L&F in numerous ways over the 25 years. She helped determine the structure of L&F and regularly assists with day-to-day operations. She trains and coordinates the 30-40 volunteers who serve the people who come to the pantry, prepares the monthly schedule of volunteers, supports them when they have questions and fills in herself as needed. Two months of the year she is one of the volunteers who interacts directly with pantry clients, stocks the pantry shelves and arranges for deliveries from food banks and pick-ups at local grocery stores. During her quarter century with L&F, Lawhorn has been ready to do whatever is needed to keep the pantry open five days a week for people in need. As an artist, she has a long history of promoting art in the schools and, more recently, at the West Central Illinois Art Center. Essie Rutledge, a Macomb Feminist Network member, has contributed to Western Illinois University and to Macomb since she arrived in 1976 to chair WIU's African American Studies Department. She is being honored for her advocacy for equity through her mentoring of individuals on and off campus, and through her participation in multiple organizations, including the Macomb Equal Opportunity and Fair Housing Commission, the Lions Club, the NAACP and the Western Illinois Regional Council. She facilitated the creation of WIU's Women's Center and served on its advisory board. As a member of UPI, WIU's faculty union, aware that women and people of color were often disadvantaged in salary and promotion negotiations--but without overlooking the needs of all University personnel. Rutledge looked out for traditionally underrepresented individuals, has been able to call attention to inequity, and stands her ground whenever justice is threatened. Patricia Walton is being honored most specifically as a "defender and advocate for children's rights." Since her 1994 appointment as an associate judge of the Ninth Judicial Circuit Court, she has established the Drug Court, the Court Appointed Special Advocates (CASA) program and the Improvement Committee for Juvenile Court, all in McDonough County. A licensed foster parent, Walton has served as a temporary foster parent for children and assisted in training individuals seeking a foster care license. She has advanced certification from the Child Abuse and Neglect Institute that promotes best practices for judges presiding over child abuse and dependency cases. She helped start Bushnell's Big Brothers Big Sisters program, became its first Big Sister, and in 2015, was named Big Sister of the Year for Warren and McDonough Counties. She is an active member of the Bushnell Rotary Club, McDonough County Habitat for Humanity, the McDonough Bar Association, McDonough County Republicans, McDonough County Republican Women and the Macomb's Women's Club. These women join the women who have been honored previously with the Writing Women into History Award: Wanda Black; Mary Ellen Graff, Rosa Julestrom and Beth Stiffler (2010); Connie Berg, Marcia Moll and Ruth Parks (2011); Maria Dunstan, Judith Kohler and Donna Werner (2012); Josephine Johnson, Elizabeth Kaspar and Janice Welsch (2013); Gordana Rezab, Alice Swain and Mary Warnock (2014), Lois Ganyard, Margaret Ovitt and Suzan Nash (2015); Alice Henry, Alta Sargent and Peggy Scharfenburg (2016); Lorraine Epperson, Debbie Maguire, Pamella McLean and Rebecca "Becky" Parker (2017); and Sally Egler, Martha Klems, Maurine Magliocco and Paula Wise (2018). Information about these women's contributions to the city and county is available on the Macomb Feminist Network's website at macombfeminists.org/. The public is invited to join MFN members in honoring this year's award recipients at the March 2 event. Following a light brunch, at 10 a.m. honorees or a representative will tell their stories of activism and civic commitment.